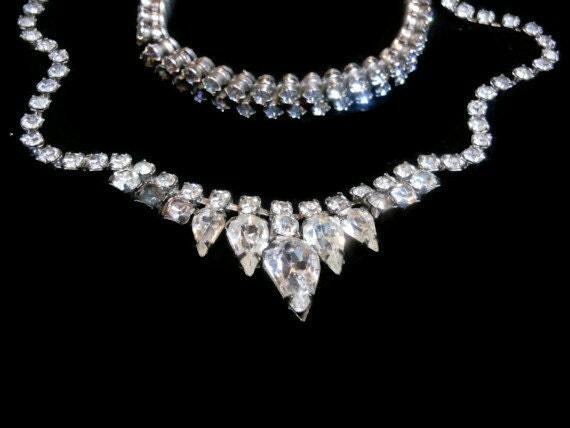 Weiss rhinestone necklace and bracelet, demi-parure with Austrian crystal clear rhinestones, great as a bridal necklace and bracelet. Matching set perfect for a wedding. 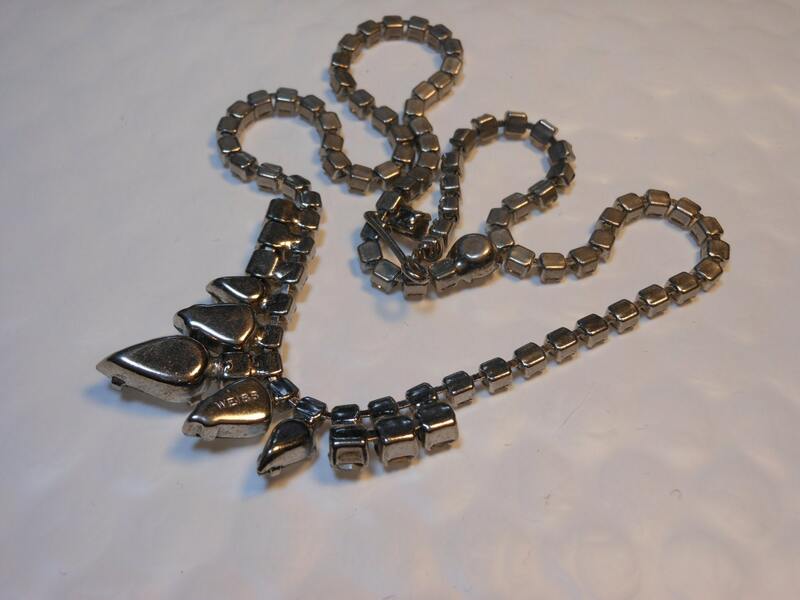 Necklace signed bracelet unmarked. I picked this up at an auction 20 plus years ago. 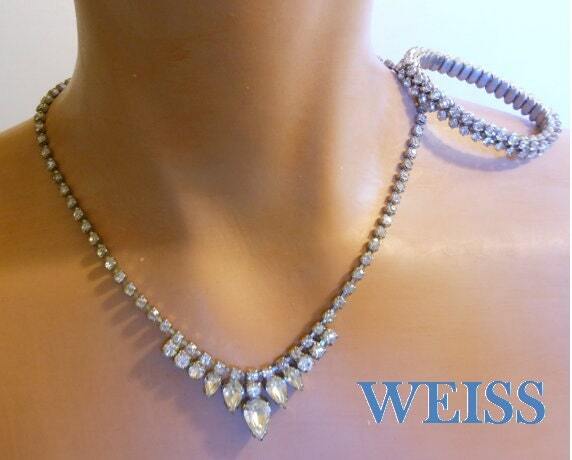 Weiss used excellent Austrian rhinestones of exceptional quality. 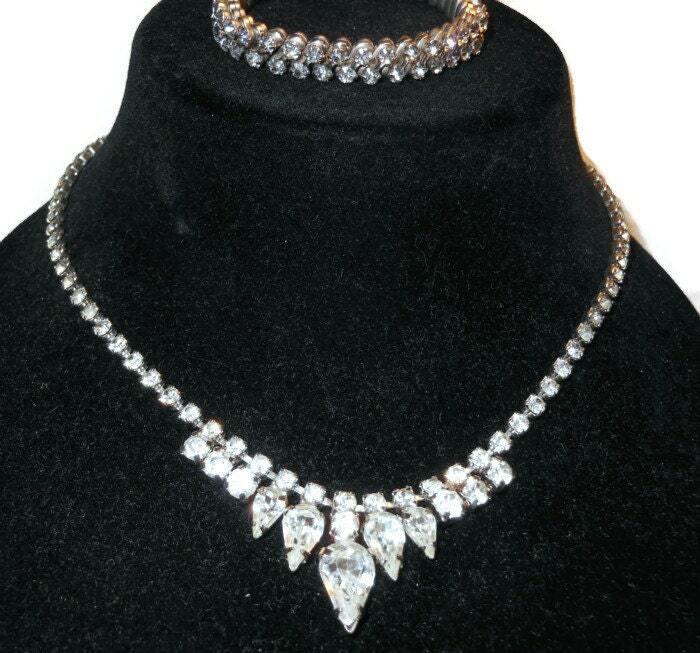 Necklace is 17" but can be adjusted smaller, bracelet is stretchy. The bracelet photographs poorly. 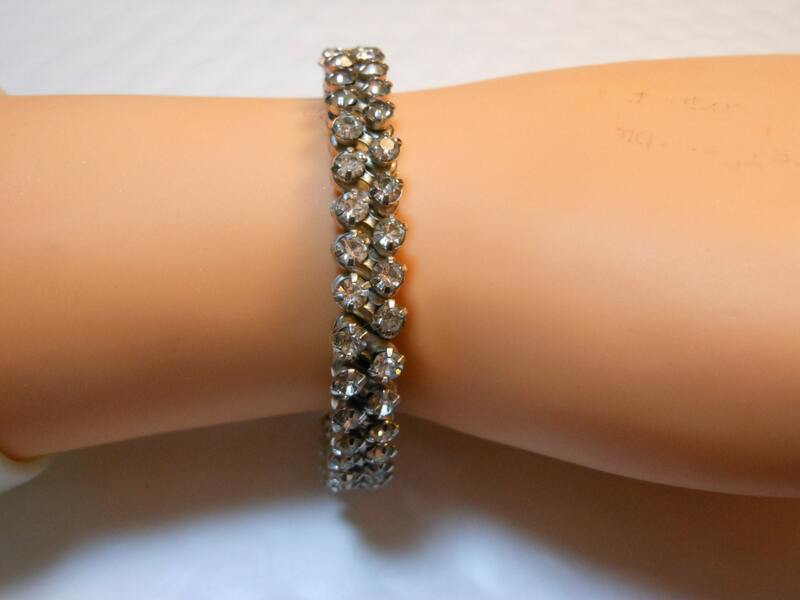 They are both in very good vintage condition with beautiful rhinestones. Wonderful set for a bride!